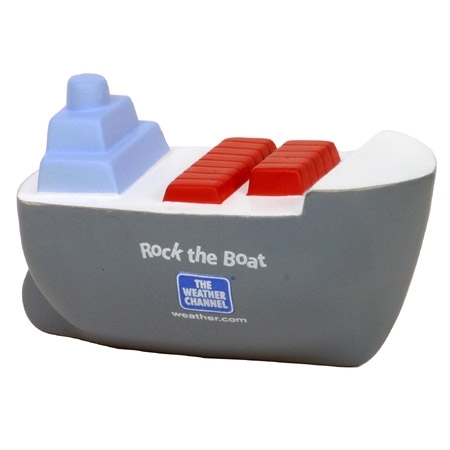 An interesting mode of transportation.Cargo Boat Stress Ball is made of squeezable polyurethane foam. Stress balls or Stress relievers are becoming a trendy giveaway item. Because of the many shapes now available, stress balls are generically known as stress relievers. These stress relievers are an extremely affordable way to promote your business. This stock cargo boat shaped stress reliever can help your brand set sail to success at your next promotional event! Ideal for the shipping industry, but can creatively work with any business. Customize with your logo and toss the competition overboard and reel in new customers! Your customers will get the opportunity to embark on all sorts of stress-free adventures! 3-1/4" x 2-1/2" x 2"
Bulk / 22 lbs / 250 pcs. / 22x15x14box. Imprint Area: 1.75" x 0.375"
Imprint Area: 1.125" x 0.375"